On the Late Show with Jay Leno aired September 26th, Ryan Gosling deprecated his own wildly prevalent face, as it occupies the posters for Crazy, Stupid, Love, Drive, and The Ides of March, all released in 2011 and the latter two still in theaters. Gosling quipped, “I’m sick of myself.” While this statement emulates a joke on his own popularity, it indicates a truth worth labeling on Ryan Gosling’s life: he cannot separate himself from his characters. Once upon a first date, Ryan Gosling took Nicholas Winding Refn for a drive. What ensued during that first meeting was an awkward car date where the silence became too deafening. In an effort to twinge the sting of discomfort, the driver turned on the radio. REO Speedwagon’s “Can’t Fight this Feeling” began playing, and all of a sudden, Mr. Refn started bawling. He then pushed through his sadness and began belting the chorus, much to the bewilderment of Mr. Gosling. Gosling reports this story ending with Refn’s statement, “This is it. 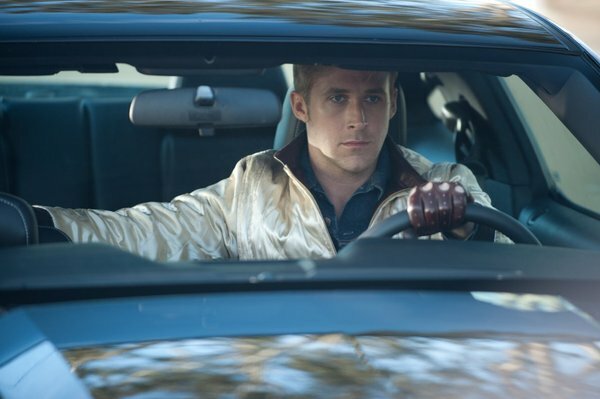 This is a movie about a guy who drives around listening to pop music because it’s the only way he can feel.” In reference to his latest film creation, Drive, Nicholas Winding Refn envisioned the world Ryan Gosling would soon scathe with tires. Tom Chiarella interviewed Gosling for the September issue of Esquire this year, and ironically, he fell enslaved to the passenger seat of Mr. Gosling as well. During the drive, Gosling stopped to buy candy six times. Chiarella reports of the sweets Gosling chose, “Its very presence seems to comfort him.” As he incessantly spoils himself with candy, Gosling’s self-indulgent habit seems to mirror the void filled by pop music for character he recently played. What surfaces as a union of Mr. Gosling and his facades is actually a detachment from his own identity. Gosling isn’t allowing himself to get lost in his parts, but rather, his performances are hiding his life from him. This inability to identify life as separate from performance is a novel idea for Gosling. On the contrary, he told Tom Chiarella, “I think I was always bound to become two selves, if I wasn’t already... my own name sounds like just someone I know.” Ryan Gosling believes his growing persona accentuates his soul over his name, however Ryan Gosling’s actions nullify his unique identity. At the press conference for the film Blue Valentine last year, Gosling described his director’s vision. He said the characters in most current films were “made in the image of gods.” Blue Valentine, however, was “made in the image of man.” He called it “a film that kind of embraced these characters faults, but the characters themselves couldn’t embrace their own faults or the faults in one another.” Furthermore, “they were kind of holding themselves to this idea of perfection that only exists in movies.” Not only does this quote expose Gosling’s personality as totally similar to his character, but also, it sheds light on the reason his films have detached him from his identity. In essence, Gosling may not accept his own soul for fear of the flaws he possesses. He molds himself to his characters to let the dream of the movies survive and surpass reality. Gosling has allowed himself to be defined in the image of man, rather than the image of God.